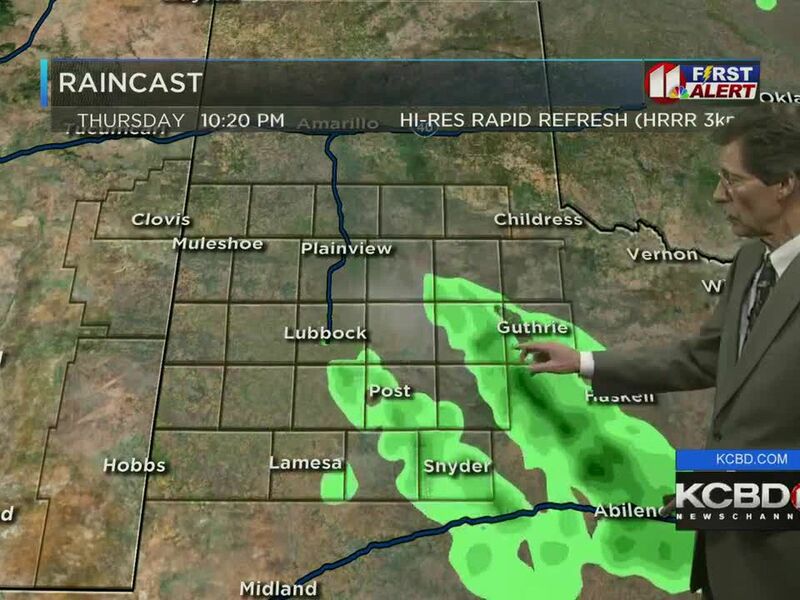 LUBBOCK, TX (KCBD) - A brief break in the rain for some of the south plains Wednesday afternoon. However, heavier rain will gradually move back over all of the region later this evening, overnight and into tomorrow. 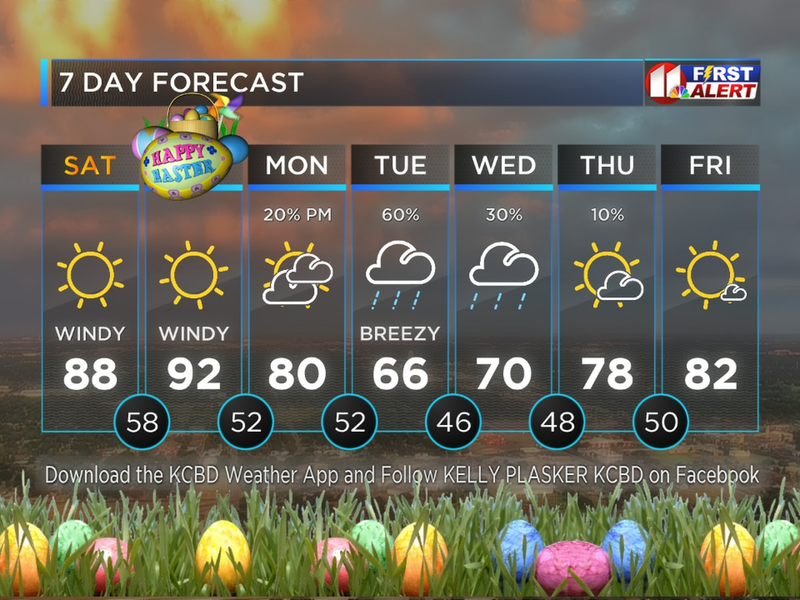 In fact, rain chances will be high throughout the day Thursday and extend to mid-Friday for Lubbock and into the afternoon hours for the eastern south plains. The rainfall amounts from the next round of rain will vary from about a quarter of an inch to possibly 2 inches for areas along and east of the caprock by Friday afternoon. 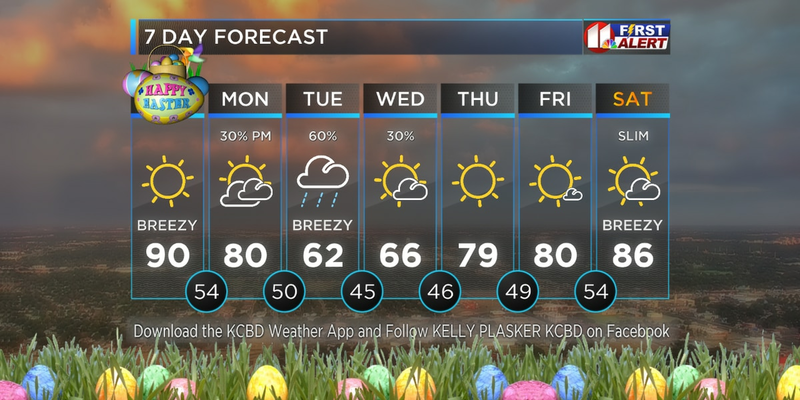 As the clouds return so will the chilly temps as lows for Lubbock stay in the mid- 40s Thursday and Friday morning with afternoon temps in the upper 40s tomorrow, but warmer on Friday. If the clouds clear soon enough, we might see a high of 60 to 62 degrees Friday afternoon. Moving into the weekend Saturday looks great for the Tech game. After a foggy start it should clear by noon and sunny skies will dominate the afternoon. As for the temps, chilly 40s to begin the day and mid 60s for the afternoon. The remainder of the weekend will be a little cooler as afternoon highs drop to near 60 degrees Sunday afternoon. Looking ahead to Monday, slim rain chances again and back in the 60s.